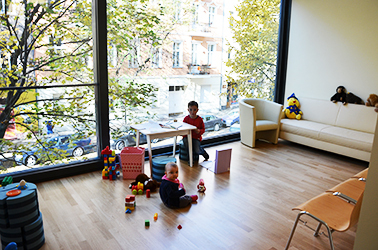 The practice has a spacious waiting area where your child can play. 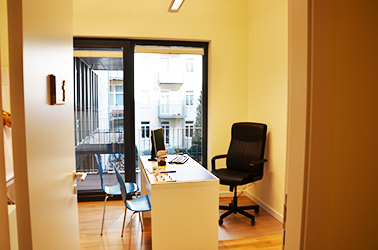 Five consulting rooms ensure a smooth transition between patients. You can dress and undress your child unhurriedly, while the doctor examines other patients. The practice also has quiet areas for breastfeeding and for seating patients with contagious diseases in a separate room. 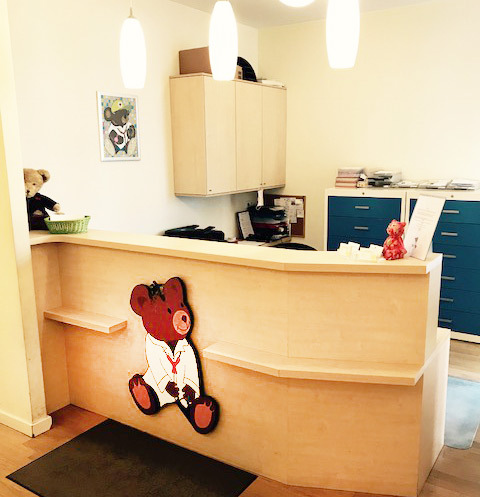 In order to avoid long delays, we make fixed appointments with our patients. With this “reservation system” hardly any one has to wait for a long time – of course emergencies are always attended to! 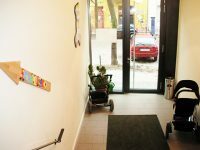 You can leave your pram near the entrance.